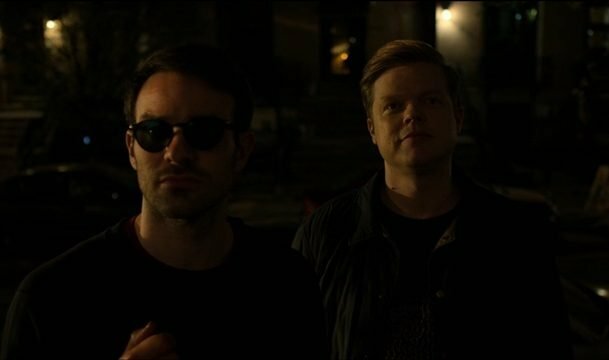 After doing things the Daredevil way for the majority of the season, Foggy and Karen convinced Matt to work within the legal system to take down Fisk. The trio secured a new witness in Ray to bring down Kingpin and Matt is given his best opportunity to reclaim his humanity to date. 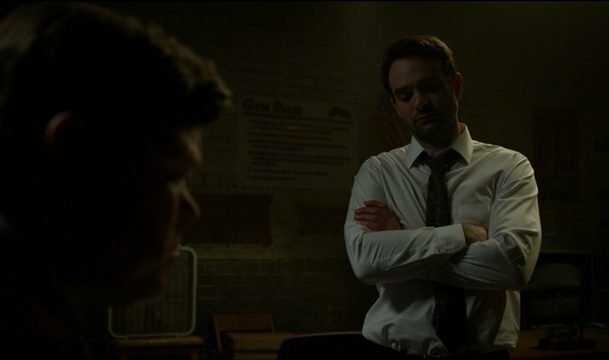 Matt Murdock might be dead to him, but there’s a lot of work for both him and the Devil in the days ahead. 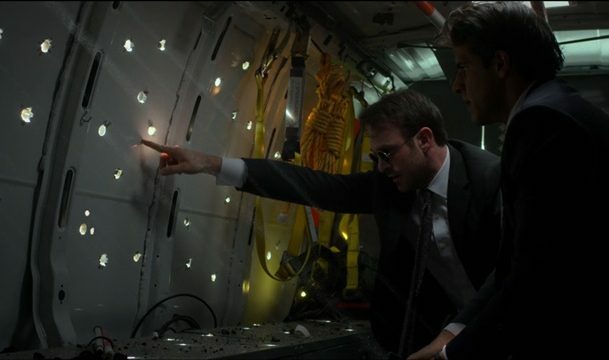 Matt and Foggy move Ray and his family to the safety of Mahoney’s mother’s home as Fisk’s team hunts for them. Seema takes little time to voice her displeasure with Ray, pointing out that he betrayed her trust. Ray promises he can fix things, but it seems that the divide might prove insurmountable. The first step is to take down Fisk though, which leads Ray to secure legal representation from the reformed Nelson & Murdock. Foggy negotiates a meeting with DA Tower, on the condition that Foggy ends his DA campaign. Ray tells Tower everything he knows about Fisk’s actions. A shocked Tower is ready to move forward with Ray’s testimony, but won’t grant him immunity. Matt and Foggy vehemently argue the point, but Ray agrees to serve five years in prison, believing he deserves punishment. Foggy is pleased with the reunion, but Matt quickly points out that they aren’t there yet. They are getting there though. Tower is able to secure an emergency grand jury to hear Ray’s testimony later that day. But Ray still has to make it there. Matt and the NYPD move him in an unmarked utility van in an attempt to disguise his movements. Ray asks Matt about Daredevil in transit. Matt is quick to point how much the double life complicates things and that the strength of the people around him keep them in his life. The van is inevitabley attacked by Fisk’s men, forcing Ray and Matt to fight through a sea of abandoned cars and gunmen. The two take out the last of Fisk’s hit squad and arrive at the courthouse. Ray enters the courtroom to deliver his testimony as Karen, with Ellison by her side, holds a press conference. She reveals that Dex is the impostor Daredevil. The much foreshadowed return of Vanessa occurs just as Fisk is made aware that Ray escaped his men. Not even the news of a such a failure can spoil this moment for Fisk. He whisks his love into his meticulously decorated penthouse, but Vanessa seems a bit distant. Dex’s failure to eliminate Karen causes Fisk to lose some faith in his creation. In an attempt to win him back, Dex returns the stark white painting to the couple. Vanessa notices a bloodstain on the back, hinting at Dex’s methods, before Dex tells her to think of him as the new James Wesley. Vanessa finally reveals that she doesn’t feel like a part of Fisk’s life. She sees herself as just another pretty thing to mount on the wall in his eyes and wants to be more. 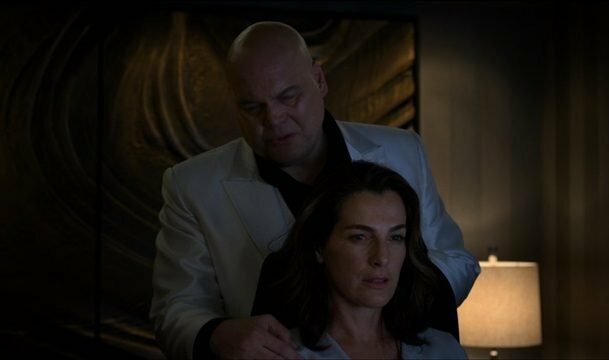 Fisk isn’t having it at first, expressing how he never wanted to dirty her hands with his acts. Vanessa says her hands were never clean and wants to share every aspect of his life with him. A silent Fisk takes her by the hand and leads her to his monitoring room, sitting her down and introducing her to his world. Her introduction comes as Fisk thwarts the efforts of Matt and Foggy at the courthouse. Fisk is able to intimidate the jurors into not issuing an indictment. Keeping Ray’s testimony sealed and inadmissible. The result causes the press to turn on Karen and push Fisk’s narrative that Daredevil framed him for all of his crimes. Matt’s anger returns as Ray punches Foggy and runs away from the courthouse. Ray returns to his home, recording a video message for his family. His arrival at the house is known to Fisk and crew. Vanessa gives the order to have Ray eliminated and sends Dex to take care of the threat. Dex arrives at the house, meeting Ray in the backyard. Ray tries to get Dex to come to his senses, but Dex has no desire to go back. He feels more like himself than ever now that he has embraced his psychopathic tendencies. Ray knows his fate is sealed, but still tries to draw his gun before Dex shoots and kills him. Back at Fogwell’s, Matt, Foggy and Karen sit silently in the dark. Matt grabs his coat and storms out, turning back only to let them know that he tried it their way and that now he’s doing it his way. 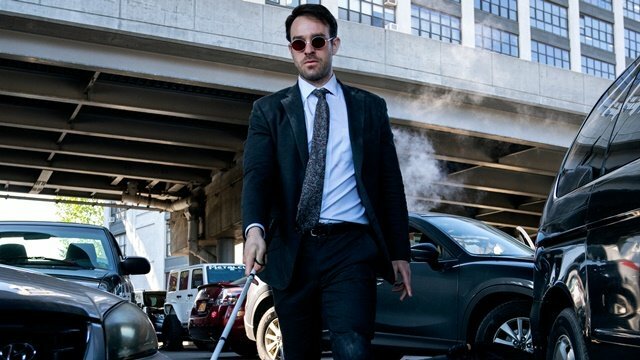 What did you think about Daredevil season 3 episode 12? Let us know in the comment section below!